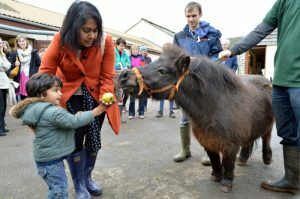 Join us at Elm Tree Farm in Bristol on the early May bank holiday Monday, for some farm fun. With free entry, there’ll be plenty to keep the whole family entertained including live music from folk band ‘Sons of Derek’, a barbecue, licensed bar, craft stalls, face painting and games, as well as the chance to meet Humphrey the Shetland pony. For more information, please see the event leaflet (opens in a new new window) available on the Freemasons’ website. The event is being organised and supported by the Stapleton Freemasons, who are celebrating 300 years of Freemasonary in 2017. To mark the tercentenary, every Province and every Mason Hall across the country is organising and promoting celebratory events and activities, culminating in a huge gala at London’s Royal Albert Hall in October. To celebrate the anniversary, masons and their families from all the lodges in the Gloucestershire area which meet in Park Road, will be hosting the open day. We want to become a bigger part of the local community, and by doing so, increase the potential for personal development for all the people with learning disabilities we support. We’ve been working with some UWE architecture students over the last couple of years to plan how we do this, and they’ve produced a fantastic multi-phased plan to make it happen. Watch this space for further details towards the end of the year. This year we’re hoping for a lawn area and some bell-tents with flooring and a outdoor kitchen area where we can run our out of school holiday clubs and maybe even serve up refreshments for visitors. All funds raised by the Freemasons at the event will be donated to the Farm and take us one step closer to achieving our aims. By coming to our fun day you can help make this happen and have a great day out too. 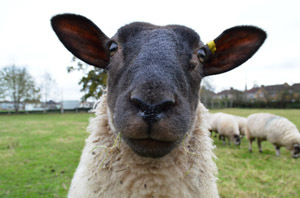 We’ll soon have more details about our next event on 11 June, Open Farm Sunday – so keep both dates free!